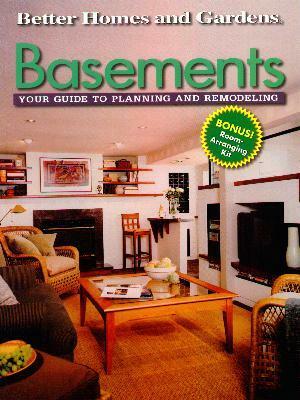 This book was published before the other Better Homes and Gardens book, "Basement Planner", so you'll see a couple of the same ideas. Again, whether you are looking to transform your basement into a living area (see page 13 for spaceousness), a gym, a workshop, office, or family room, there are lots of ideas to choose from. They seem to have thought about everything as they cover building costs (now outdated I would imagine) and materials. Even if you just need some more storage space, both of the Basement books will come in handy. I liked the design ideas at the back of the book with plans and then a finished graphic. This book also has templates so you can put together your own design in the "Room-arranging kit". I also liked the fabulous windows on page 51, the olde worlde kitchen on page 81, and the sunken patio on page 78. Conclusion - Very interesting and great ideas to copy.